According to a World Bank report, Grenada and 11 other Caribbean territories are yet to enact a Freedom of Information Act legislation. At the 3rd annual Media Workers Association of Grenada (MWAG) awards in 2008, then Prime Minister of Grenada Tillman Thomas revealed that the National Democratic Congress (NDC) would be introducing such legislation. According to the reported entitled Freedom of Information Act in the Caribbean 20 Years & Beyond, Grenada has remained among 5 other Caribbean territories that have never gone beyond the drafting stage of the bill, with 7 other countries still without a law. 4 are British Overseas Territories. 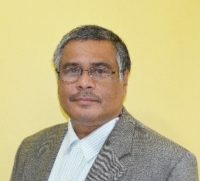 NOW Grenada sought the expertise of President of the Association of Caribbean Media Workers (ACM), Wesley Gibbings, who has covered Caribbean public affairs for over 30 years and has written extensively on journalism and media in the West Indies. Gibbings is also known for being an advocate for press freedom. Speaking with NOW Grenada, Gibbings pointed to Trinidad and Tobago and Jamaica as good examples of territories having such legislation in place which contributes to transparency and accountability. With regards to the issue of transparency and accountability, Gibbings said the enacting of freedom of information legislation would send a global message that regional governments have nothing to hide. The ACM president believes that media workers will be further empowered by the Freedom of Information Act to be able to disseminate information on matters of public concern. Despite the information contained in the report, a representative of the Grenada Ministry of Legal Affairs confirmed that there is no such legislation on the books, and was not in a position to say whether a bill has ever been drafted.